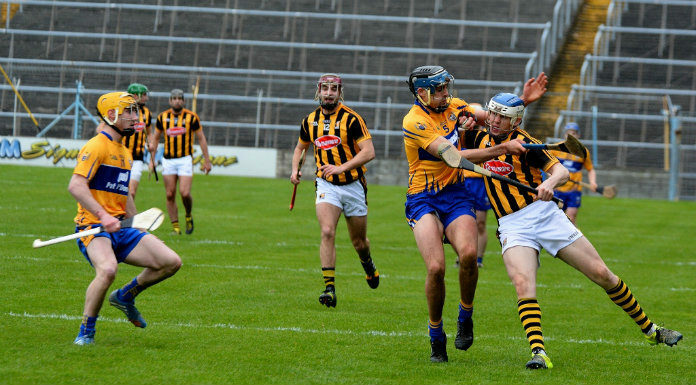 Clare’s senior hurlers got their National Hurling League campaign back on track on Sunday when they defeated Kilkenny in Cusack Park. Goals from John Conlon and Podge Collins had the Banner in control even though Kilkenny brought it back to the minimum with a late Kevin Kelly goal. Clare FM provided live coverage in association with Matt Waters Clare Fruit and Veg Market, Turnpike Road and Geraghty’s Spar and Off Licence, Turnpike, Ennis. Listen back to all the action with our match commentary team of Syl O’Connor and Tommy Guilfoyle. And it was part of a Sunday double for Clare teams as in Pairc Esler, Newry at the same time, Colm Collins’ footballers secured a draw against Armagh. Gavin Cooney and David Tubridy were the Banner’s goal scorers in the 2-10 to 1-13 draw. Clare FM provided online coverage and regular on air updates in association with Tubridy’s Bar and Restaurant Doonbeg. Catch match highlights during the hurling commentary from our football team of Darren Kelly and Joe Garry.